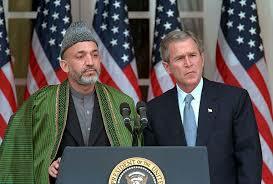 Hamid Karzai, Afghan President, no longer wants to play by US (or anybody else’s) rules. Despite pleas to the contrary, Hamid Karzai not only ordered the release of 65 prisoners dubbed very dangerous by the US government but also provided response with no room for speculation or negotiation, “Afghan prisoner release is no concern to US”. That statement by Hamid Karzai, considered a longtime West sympathizer, a US ally, is a major turning point in US – Afghanistan relations since the attack on US by Bin Laden. When 9/11 happened, the world, for the first time in its recording existence, united with US. When then President George W. Bush declared war to Afghanistan and ordered airstrikes against the Taliban – governing faction in Afghanistan; they refused to extradite Bin Laden – , not a single country expressed opposition. Even Afghans with no link to Al Qaeda supported US actions. On October 7 2001, Operations Enduring Freedom began. The Taliban were swiftly defeated and chased away from power. The war – military operations to defeat the Taliban – lasted a couple of days. There was no surprise there; Taliban fire power was no match to US war arsenals. Notwithstanding the remnants of the Taliban who continue to engage in guerrilla war tactics against the US coalition forces, US placed Hamid Karzai in power as Afghan interim President in December 22, 2001; he has since been elected and re-elected despite his declining popularity. To rid Afghanistan of the remnant Taliban fighters, US Coalition forces established presence everywhere in the country and conducted regular sweeps across the country to capture or kill the “terrorists”. Hamid Karzai was fully onboard with those sweeps in spite of increasing civilian casualties; after all, US has been “pouring” aid into the country to the tune of several hundred billions dollars, 100 billion of which were allocated to non-military activities, according to World Affairs. However, since the announcement of the major troops withdrawal from Afghanistan, Hamid Karzai relations with Washington has been rather lukewarm. The declining relations plummet further as the US government steadily increases the use of drones to target and kill “radical elements” in Afghanistan; such strategy came with a heavy price Hamid Karzai is no longer willing to pay, increasing civilian casualties. Under pressure to make the US government stop “killing civilians”, emboldened by his ability to forge alliances with regional and local leaders and a looming election that may cost him a post he no longer wants to give up, Karzai took steps to anger the US Coalition forces, hoping that would be enough to force them out of his country. His approach seems to be working. Karzai is not worried about US aid; since 2007, he has forged alliance with Iran that’s been sending him millions of dollars in cash. Karzai stance is a full replay of why US is in Afghanistan in the first place; his rhetoric is reminiscent of the Taliban era. 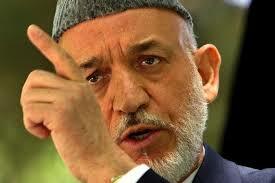 Should the US Coalitions forces play ball with Hamid Karzai?